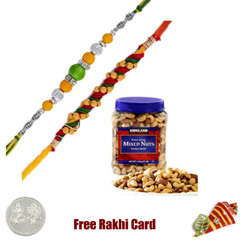 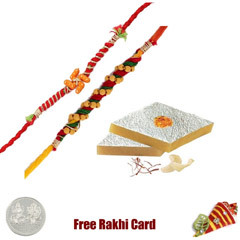 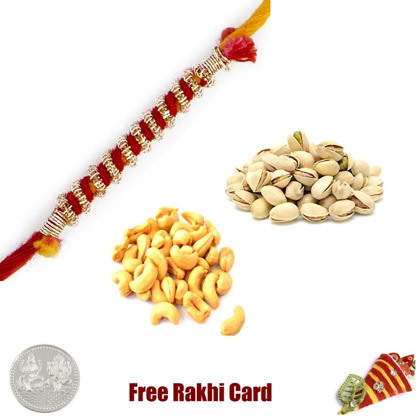 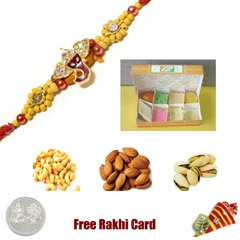 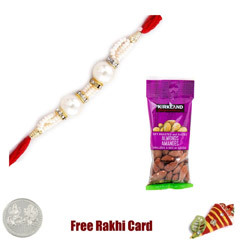 Send 225 grams of Pistachios and 225 grams of Cashews with a Rakhi for the auspicious day. 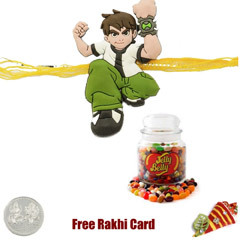 Wt: 450 Grams. 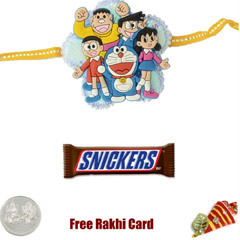 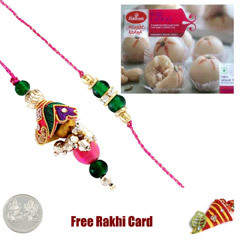 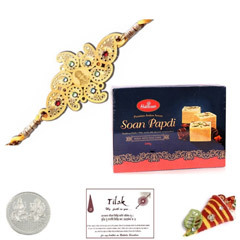 This product comes with a FREE Rakhi, Silver Plated Coin, Roli Tikka and a handmade paper Rakhi Card.Delivery only in USA.